The humble wine glass – it has become almost as important as the wine that you drink from it and on occasion, even more important. With so many shapes, sizes and designs available today, doing some research before you hit the shops to buy your wine glasses may bring some much needed clarity. I am often asked, ‘Do I need special glassware to drink my wine?’ And the simple answer to that is, if you don’t have a good quality wine glass to hand, then use any glass you have and enjoy that bottle of wine. I do qualify this statement with a glass, as it is often better than a plastic wine glass, and certainly better than a plastic cup. But …. If you have nothing else, do NOT let that stop you from enjoying your wine. Just don’t really expect your expensive bottle of wine to be as enjoyable when served in a pint sized, red plastic cup or even a glass tumbler. It is true! The size, shape and style of your wine glass can change the way your wine smells, tastes and even feels in your mouth. It can effect just how much you enjoy that glass of wine. I say ‘can’ as I have discovered some people just cannot tell the difference and if you fall into this category, you are lucky in your very wide choice of drinking vessels. For the rest of us, here are some things to things to think about first. A very elegant table setting. However, sometimes thick cut glassware is more about style and the wine may taste better in a plain crystal glass with a different shaped bowl. 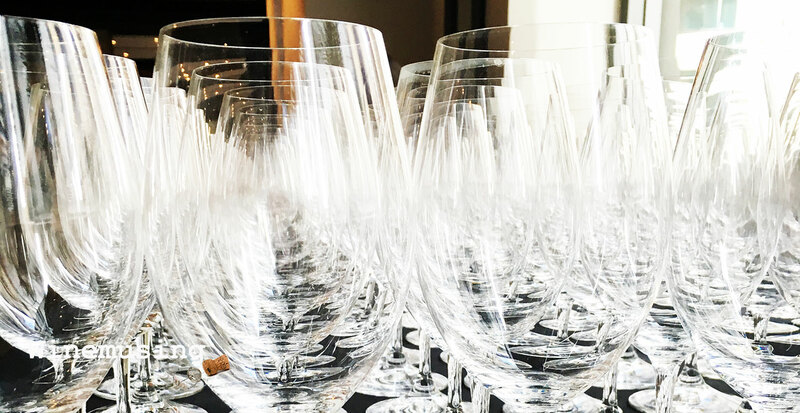 Firstly, you need to consider just how many glasses you will need if you are just starting your wine journey. This will depend on the types of wines you usually drink. If you prefer red wines and only occasionally drink white wines, or vice versa, then you will get away with one general purpose glass. However, if you regularly entertain, you would probably like to have more than one style of glass in various guises of formality. After all, no one can deny the tingling sense of anticipation when you see an elegant table laden with hints of what is to be poured with dinner. 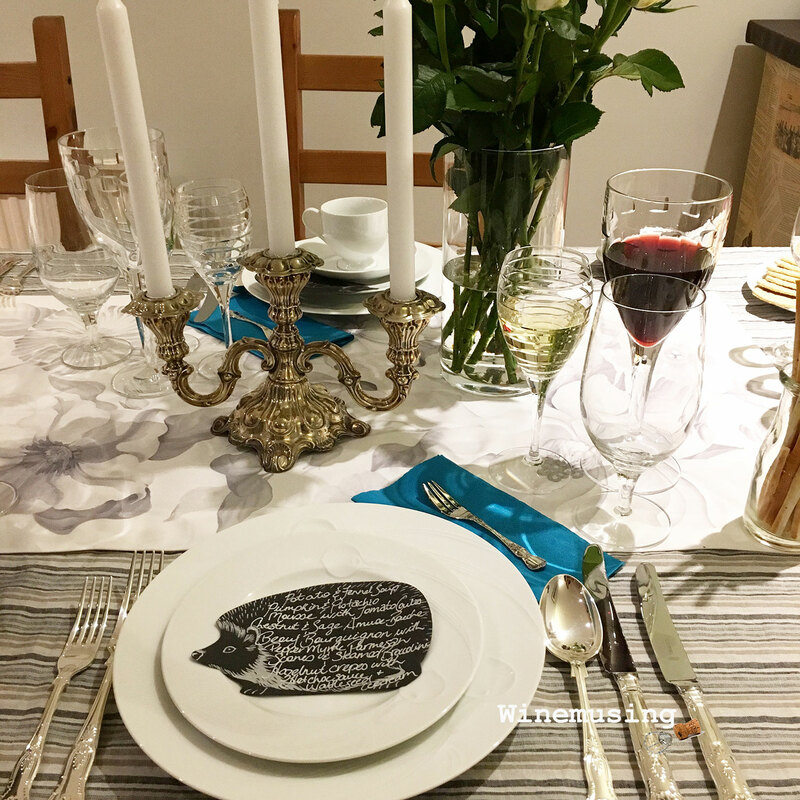 At a minimum, your ‘wish list table setting’ would contain one glass each for red and white wines plus perhaps a sparkling wine glass and a small dessert/fortified wine glass. If you drink across a wide range of wines plus a wide range of entertaining occasions – well, you might just need a new cupboard to house your new collection. The theory behind the different shapes of wine glasses stems from studying where the aromatic compounds sit in a glass at certain temperatures. 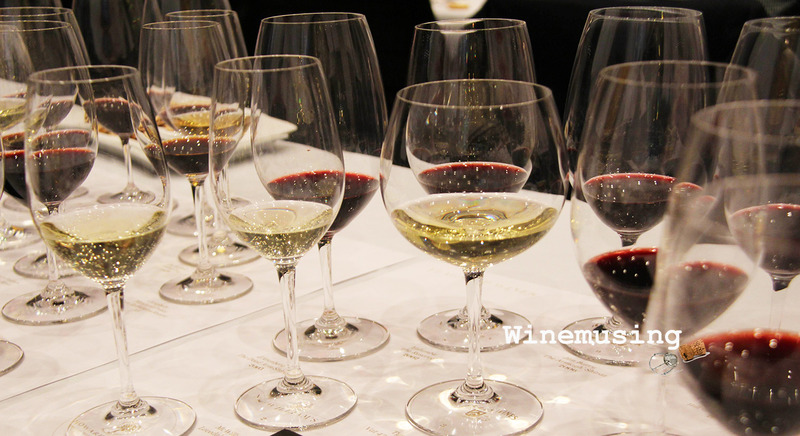 It is logical that different wine styles and the different grape varieties in each wine means that they may respond better to one particular shape versus another. Certain aromatic compounds sit higher in a glass than others plus, when you drink from a glass, each glass shape delivers the wine to your tastebuds differently. Glass has a different surface texture compared to plastic which is manufactured to be completely smooth, which also effects how air interacts with the wine. Finally, the size of the glass will also depend on the recommended serving temperature for each wine. The choice of glass shape is as individual as your choice of wine but there are a few things to consider when choosing your glassware. Plumm believe that 5 basic shapes is all you need when it comes to glassware. From left to right: for full bodied red wines, light to medium bodied red wines, unoaked white wines, oaked white wines and sparkling wine. A wine glass usually has a bowl, which holds the wine, and usually a foot and a stem. The interaction between the air, the wine and your nose and mouth can dramatically enhance any wine tasting experience and this interaction starts in the bowl. There is a plethora of shapes available on the market ranging from very funky shapes to varietal specific glasses. 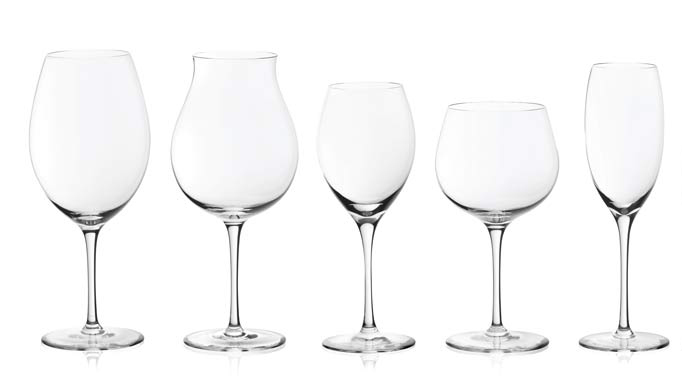 Some producers such as Luigi Bormioli and Schott Zwiesel, offer over 30 different shapes of wine glass, with Riedel offering over 30 individual bowl shapes. Other companies, such as Plumm in Australia, concentrate on just five. However, the shape of the bowl usually falls into three main wine glass shapes – a goblet (wider bowl), a tulip shape with a narrower opening and the sparkling wine flute. Each shape and size of bowl suits a particular type of wine better than the other shapes. There are other shapes available now and some of the historical shapes have become popular again, such as glassware with a more conical shape, however this is more about style than having any significant advantages over the rounder bowl shapes. If you fill your glass too much, you don’t get much room for a proper swirl. It can turn more into a wave and can get messy…. The larger the bowl, the more the aromas are amplified but only to a point. Tempting as it is to have a wine glass that fits an entire bottle, too large a bowl and the aromas will dissipate too much and it will not be as enjoyable. Large bowls on a glass DO NOT mean that you fill them up to just below the rim. Unless it is a sparkling wine flute. 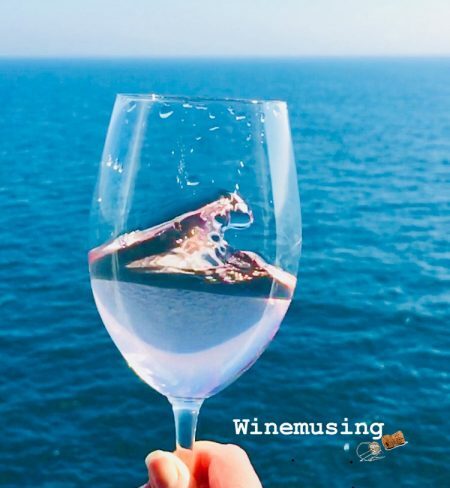 While it is meme worthy to have a very full glass of wine, as a rule of thumb, at home or in a fine dining situation, you should fill to the beginning of the widest part of the bowl. So, for drinkers who like to have a ‘full’ glass of wine, this may be disappointing. Obviously, in a bar they will use a standard sized glass and it will depend on whether you have asked for a small pour of wine or a large one. The larger bowls give the wine a greater surface area to interact with oxygen allowing the wine to ‘open up’, meaning the wine’s aromas are released and the flavours start to achieve their full potential. Wines with more delicate/tighter aromas require smaller bowls, still a bowl tall enough and large enough to get a good swirl up, as these delicate aromas need to be concentrated and focused toward the nose for you to fully appreciate them. For instance, if you serve a more delicate riesling or pinot grigio in a wide rimmed goblet shaped glass, you may find the aromas are neutral and the wine tastes ‘flat’. However, serve an oaked chardonnay in that goblet and the texture is creamy, the oak is less obvious and seems more balanced with the fruit and overall the wine seems softer, silkier compared to the hard, sharp and oaky character when the chardonnay is served in a smaller rimmed glass. There is also nothing more disappointing than drinking a glass of wine from a teeny goblet from yesteryear. Another advantage of having a bigger and wider bowl is the larger the swirl surface that is available to push more air into the wine. Apart from allowing the aromas to come to life, one of the other important reactions of air and upon wine is the softening effect on tannins. Hence younger more tannic wines benefit from a larger bowl. The height of the bowl will also act to push the aromas together or allow them to layer in the glass – the taller the bowl, the more layered the aromas can become. Finally, the size of the bowl’s opening, or rim dimension, will also dictate how concentrated the aromas are at the top of the glass, focusing them into the nose. Some bowls will have a curled back lip which will direct the wine to certain parts of your mouth which enhance the flavours of the wine. 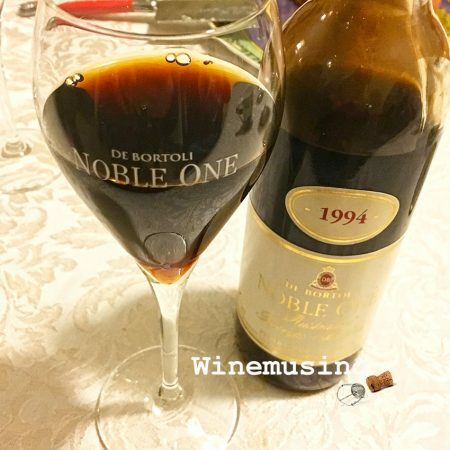 Dessert wines need a smaller glass as they are very intense to taste and you only need a small serving and are best served chilled meaning that in a large glass they may not remain at optimum serving temperature. Therefore, fragrant, more delicately structured wines such as Pinot Noir (Burgundy) and Beaujolais perform better with a wider bowl. 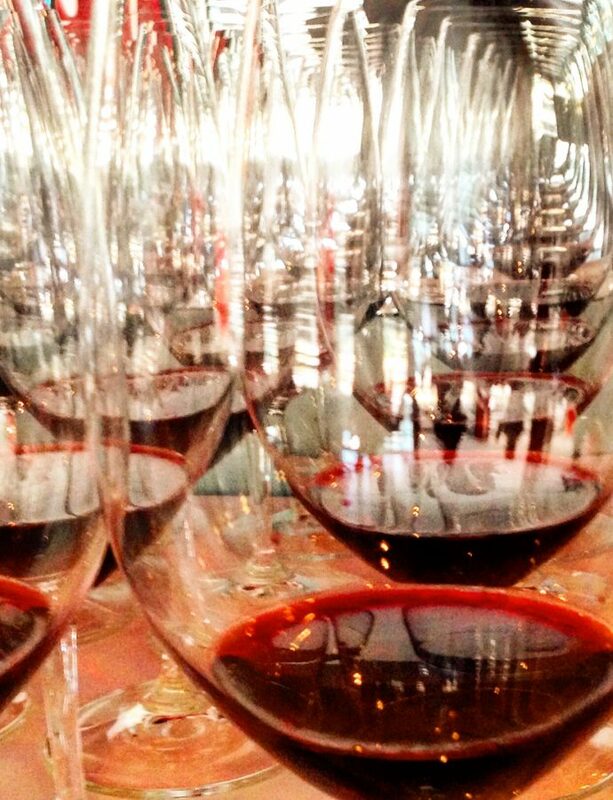 Wines that are less aromatic and more robust in character such as Shiraz, Merlot and Cabernet Sauvignon will perform better in a taller tulip shaped glass which converges the aromas to the nose. These medium to large tulip shaped glasses make very good general ‘all-rounders’ working well across most styles of wine – whites and reds with the added bonus of taking up less space. In fact, these tulip shaped glasses are often the glasses used in wine tastings. 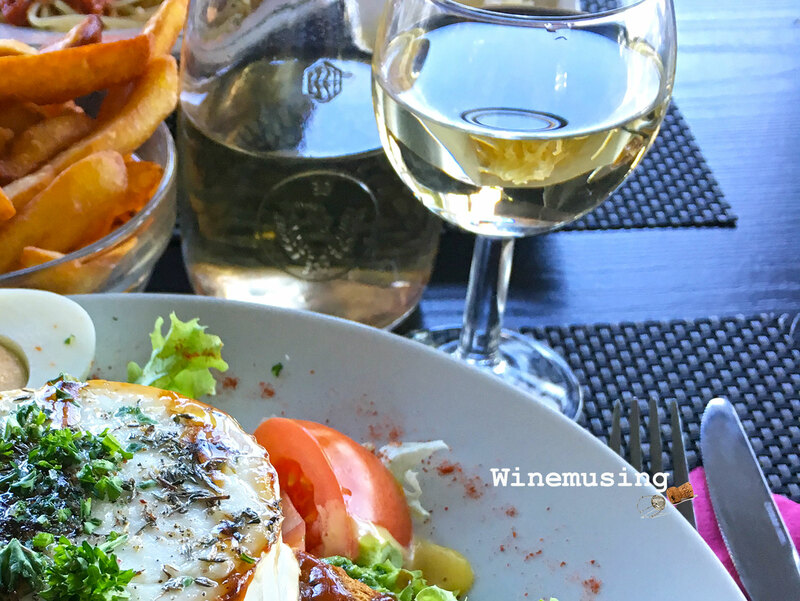 White wines need smaller glasses mostly due to their need to be chilled but also because these wines usually have more delicate aromas made even more so, incidentally, by being chilled. The smaller glasses ensure the wines remain cooler because they are topped up with chilled wine more often. Too large a pour will mean that your wine will be warm by the time you finish the glass. Aromatically, the same principals of shape apply but usually a taller tulip shaped bowl works well. Because most white wines have no noticeable tannins, there is less need for contact with the air and less need for a larger bowl. Do I really need a special glass for dessert wines and sparkling wines? Dessert wine, which is already very intense, may be served in a glass with a small tulip shaped bowl as only a small serving is needed. This is also the reason these wines are commonly sold in half bottles. If you drink dessert wine often, then it is worth seeking a smaller version of the standard white wine glass for the purpose. Sparkling wine should be treated differently to still table wines although, current thinking is that a vintage Champagne with deeper flavours and more complexity do well in slightly wider bowls to a standard ‘flute’. The flute, being tall and narrow, means that the bubbles float to the top of the wine, prolonging contact and opening up the wine as they float. The tall thin shape is also better at keeping the wine cool and helps to retain the bubbles in the wine. Some flutes come with an anchoring ‘etch’ in the bottom of the bowl. The bubbles will continue to form at this point for longer than a non-etched glass. You will still find small goblets in cafes, restaurants and bars throughout Europe. These glasses do nothing to enhance the wine. If you are not a wine purist, you have a limited budget/storage space, and/or want a good all purpose glass, you cannot go past a set of the taller tulip shaped red wine glasses often referred to as ‘Bordeaux’ shaped glasses. I would recommend choosing plain, clear, undecorated glasses with a stem. These can be used for either white, pink or red. You can then add to your collection with a smaller tulip shaped set for white and rosé. I have a very lovely set of expensive thick cut designer glasses that are gorgeous to look at but the wine actually does not taste as good in them compared to my everyday thin glass wines. There is also nothing more disappointing than drinking a glass of wine from a teeny goblet from yesteryear. I still encounter those in cafés in Europe and they are a serious downer. These glasses do nothing to enhance the wine, indeed wines lose much of their character in these glasses and they become more of a delivery vessel for alcohol.